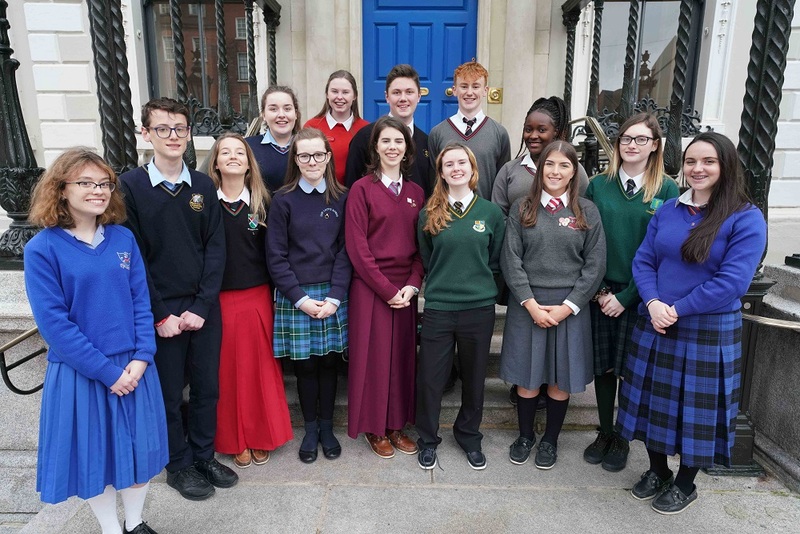 This year we commemorate the centenary of the First Dáil and Niamh Coleman from St. Angela’s Secondary School in Waterford City and a member of the Oireachtas TED-Ed Club was one of 15 Students involved in delivering a presentation entitled “Is Our Education System One Size Fits All?” on Friday, 8 March 2019 in Dublin Castle. The presentations will be uploaded to the TED-Ed Student Talks YouTube channel for everyone to view in the next few days. The Houses of the Oireachtas TED-Ed Club is a group of 15 students in transition year and fifth year. They were selected from hundreds of applicants across the country. The students received training and support via video conference and visited Leinster House for public speaking coaching. There was also plenty of Twitter activity from Oireachteas News too!! TED evolved from a one-off conference back in the 80’s about technology, entertainment and design and has become a viral video phenomenon and a worldwide community of passionate people. TED was born in 1984 out of Richard Saul Wurman’s observation of a powerful convergence among three fields: technology, entertainment and design. TED evolved from this and has grown to be a global phenomenon with the development of TEDGlobal and TED-Ed which was launched in 2012 creating short video lessons aimed at educators. The History of TED and how it has evolved globally is a fascinating journey through technology, design, entertainment, communication and education. Our students are Ireland’s future and education has developed so much since the very first Dáil in January 1919. Now, we are all very much a part of a global world. Bright students paving a bright future for everyone! Well done to Niamh Coleman on this exciting achievement and presentation at Dublin Castle and on being a great ambassador for her school, her family & friends and her City.